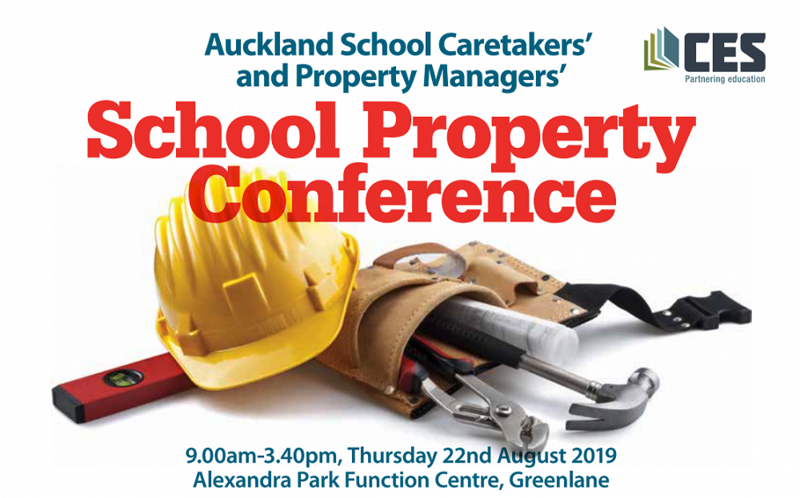 The must-attend event for School Property Conference is back in Auckland for another year. Secure your spot before places fill up! This year’s Conference features a range of useful workshops, lead by expert speakers. Learn the best ways to mark lines, take care of school pools and sports turfs, and creating fun and safe playgrounds. CES has specifically chosen these workshops to ensure the most important and relevant information is included in the Conference for those attending. 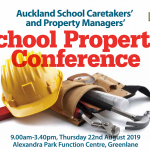 Hear speakers from the Ministry of Education, OPUS, Fleet Australasia, and All About People amongst others. CES have sourced the best of the best when it comes to School Property Management! Chat to other school caretakers about any issues you may be having, while offering up your own expertise. Nothing beats networking with other schools. To secure your spot in the Conference, contact CES to register. As always, this is a not to be missed event and is sure to be a great day.